Hey, I just reworked my character and I would like to see how she works as a character. Do your worst, I'd like to know what people honestly thing of her. Also, please try to think of a classpect! I'm rather stuck when it comes to hers. Her horns are a fairly small size compared to other trolls and flop downwards. Her hair is curly and unkempt, and she wears a black jacket that are fluffy on the edges with an olive, pleated skirt. A rather chubby face. She is commonly drooling from the mouth. Other then the appearance stated, she looks like a fairly average troll with no notable scars or makeup. 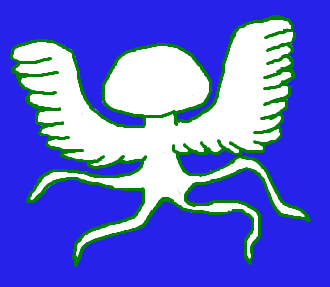 Their sign is the head of a trident with four bars, referencing her being similar to a four-legged animal. #739900. Essentially, an olive colour. Fairly low on the spectrum, but she cares little for it anyway. Essentially a game of Red Light, Green Light. When the light turns green, it has a small amount of time before it goes red again. If caught trying to get the item while it's red, she doesn't get the item she was initially trying to get and instead gets a random item, which can be the most recent item she obtained... Or the first item she obtained. She likes to call it a "traffic jam". She picked it because Dogmom her lusus thought it would help her impatient tendencies, and often regrets it. Her weapon is the mixture of nanchucks, a confetti popper and a chewed up dog toy. On each end is a pink rubber toy that squeaks upon getting touched. On the final hit on the target, the popper explodes and confetti flies everywhere, much to Elaika's amusement. Temporarily used the Sporkkind as a last resort. A 15 foot dog that's smelly and flea infested. Elaika would clean her but it's like the stench is apart of her anyway, so Elaika simply adapted to not mind it. A brilliant hunter dog and can track from up to 10,000 kilometres away, working as Elaika's nose since her nose has desensitized due to Hachi's smell. Especially good friendship with Elaika. Not only a friend, a hunting partner and a caretaker, but also a lifelong companion. Her name is a reference to Hachiko, a dog that waited for her owner to come back for 9 years. Their friendship can also symbolize the saying "man's best friend". Canis Venatis is known as the "hunting dog," and is the largest dog constellation, referencing his height and role to Elaika. His smell is a reference to Argos, a faithful dog and companion to Odysseus. Odysseus was one of the most influential Greek champions during the Trojan War, which also links to her hunting and competitive side. Argos immediately knew his owner, even in a disguise, and Odysseus immediately knew his companion despite being smelly and disgusting. Elaika is a happy-go-lucky troll that is often seeking the mysteries of why and what. "Why is that thing there? What is that? What is that? Can she eat it?" Are some common questions asked by Elaika, and when she asks a question she will go out of her way for it to get the answer. This can often get her into trouble, especially with trolls higher on the hemospectrum (despite her believing its complete garbage.) Elaika tries her best to be the friendliest she can be, even when other trolls degrade or belittle her, slightly unaware of boundaries and when enough is enough. She has a natural competitive nature, and holds herself to an extremely high, almost impossibly high standard when it comes to hunting, despite not being able to smell anything. She is often trying to playfully compete with other trolls in almost anything and everything she does. In fact, she is often trying to make a game of everything she does. Who can catch the most in two minutes, or who can fold the most underwear in twenty seconds are some examples. (Who folds underwear?) Because of this competitive nature, she has a tendency to get mad when she doesn't get what she wants, or even worse: When she loses. She's an impatient person, who has quick but extreme bursts of rage. They can range from simple screams of anger to quick bursts of violence against trolls, usually bites. More often then not she'll immediately regret these actions and will constantly beg for forgiveness. When she's away from people and more serious, she shows an interest in the mysteries the universe holds because of the fact that no matter how much she knows about it, she still knows absolutely nothing. She loves space and the universe and often studies the stars and the constellations almost religiously. She has kleptomaniac tendencies and often finds herself with items that belong to other trolls, particularly toys or balls for herself lusus. It's not intentional, it just happens from time to time. As a result, she's a hoarding mess, and generally cluttering chaos. She does take the time to keep the hive particularly tidy when guests come over, however this is particularly rare as guests often can't stand the smell. From the amount of loot she has obtained from permanently borrowing objects from other trolls, she plays with them and when they get completely useless she makes 3D art sculptures from the scraps and gives them back to the owners as an apology, hoping that they find it endearing or cute. Needless to say, the sculptures aren't very good, and the owner of the items aren't very amused. One of her biggest fears is getting rejected and isolated. She doesn't mind being alone, but absolutely hates being lonely. She dislikes being called absent-minded because she believes she is much more then what her personality shows. Furthermore, she's slightly self conscious about how she smells and how she slobbers. Although she can't smell herself, other trolls can and she knows that. She doesn't like to think of it as a handicap, but sometimes she just can't help but see it for what it is. As for her slobber, she really doesn't like the mess it makes for her as she constantly has to wipe her face. Almost never uses uppercase unless yelling. General use of "woof;;;;;!" and "bark!" begins and ends sentences with "? !<" and ">?!" Originally a very aggressive and FLARP-crazy Indigo blood and was directly named after the constellation Canis Venatis with the name Canisa Venati, however changed after seeing an extremely friendly dog on the street and getting struck with realization that not all big dogs are scary. dogs are particularly friendly animals and act the way they are trained. As such, she was trained to be a hunter, but also a loyal and friendly companion. LOTS of dog inspiration. Lots of the personality was inspired by the small dog my aunt owns, who is rather absent minded and impatient but extremely loving and loyal. Lots of other little references come from famous dogs, for example Pluto, Hachiko, Argos, Goofy, Laika and Odie. Struggled with a classpect for Elaika. If I could get some help with that, I'd be pretty happy. Her dancestor's name is Laelap Venati. Laelap is a greek mythological dog who never failed a single hunt, given to Europa from Zeus. Usually roleplay as my OCs Canisa Venati and my unnamed rabbit-themed character, as well as a WIP Nepeta. So! 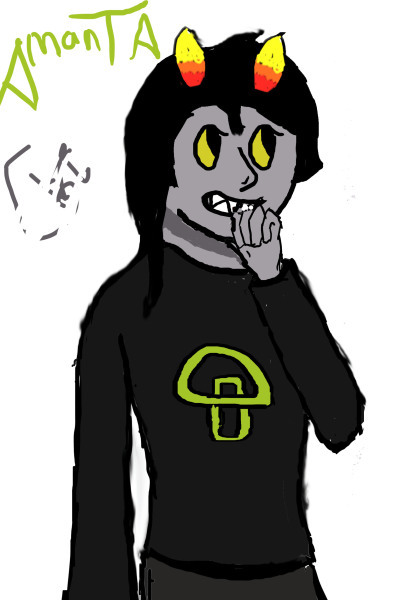 I created this one a few years ago as a Trollsona, but I reworked her a few days ago to be her own character for fun. Critique away! --- First name derived from Atalanta of Greek Mythology. Last name a mix of the Latin words "quiro" and "peto', both meaning to "seek" in some form. Oooh, mythological names! This is nice to see, I like how you attributed it to her personality. Symbol: ϕ, also known as Phi (f-ai), the Greek letter. --- Wasn't sure if this was good since it's not a star sign, but it feels appropriate! Phi is rooted in modern maths and science, most notable in the 'golden ratio' equation. Pretty much anything can be used for a symbol, as long as it fits the theme you are going for. I enjoy the extra reference to mathematics, gives it some extra meaning. Horns: Straight with a sharp curve outwards in the middle. --- Meant to mirror her symbol, as if it were divided perfectly down the middle and plonked on top of her head. Ancestor: The Explorer (Heir of Heart?). --- Boldly traveled the lands and the seas to create one of the first complete maps of Alternia, along with several detailed ones currently in Atrila's possession. Hmm, honestly this seems a bit boring to me, perhaps just because I've seen it given to another character before? --- I honestly was torn on this! Originally she had a bird-based lusus, but I was never happy with it. Currently it's now a golem-like being with no eyes and four arms, since I thought it would be neat to have a primarily humanoid-based lusus with some sort of animal part like Aurthor (cow) or Biclops. Didn't base it off anything, but it possibly could be a reference to Atlas holding the world? Not sure what I could add to him to make him more animal based though... maybe bull legs ala a minotaur, or boar legs ala Atlanta's mythology? Hmmm, I haven't seen that one before, and it fits with the symmetry theme, so it's pretty nice in my book. A bit on the short side with two long tusk-like teeth coming out of her bottom of her jaw. She has a choppy haircut that tapers to a point towards the middle of her shoulder-blades coupled with a long side-fringe. While she abides by wearing predominately black clothing, she likes to wear orange shoes and a long-sleeved high collar white undershirt. 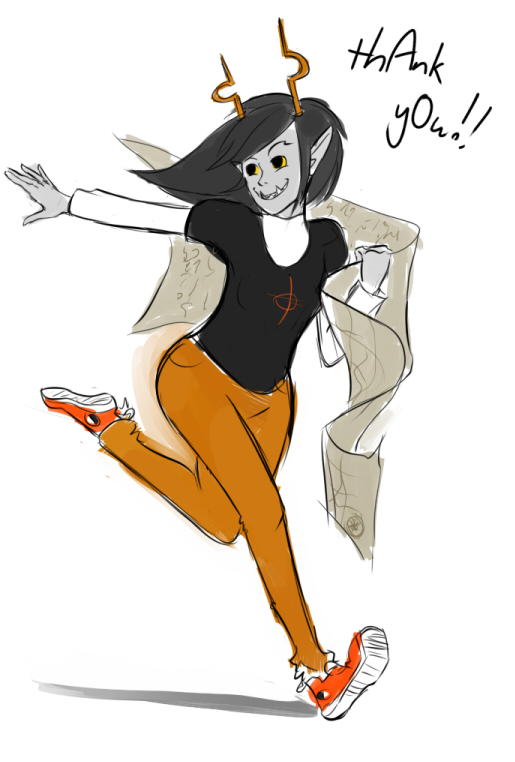 Sometimes, if she is feeling VERY bold, she wears orange pants as well (her lusus doesn't approve and they get into fights about if she is appropriately dressed to leave the hive or not). Ha! The silly lusus/troll squabbles seem amusing to me! She's very much toned for running and jumping, which is fantastic when she needs to run like hell to get away from something. Interests: Cartography, exploring new areas, architecture, shiny metals (eg. gold), pottery, maintaining balance/symmetry (although this one is fairly low-key). Perhaps gymnastics too? That's all about balance and requires good muscle tone. Personality: Atrila is an extremely happy and bubbly troll, overly optimistic and brimming with delight whenever she talks. Needless to say, it's really damn annoying. As a young troll on the low end of the hemospecturm, she is still rather immature and far too trusting. Her lusus is over-protective of her, often afraid that her naive nature will get her killed one day, so she's often stuck in her hive unless she can win in a STRIFE and get past him. One of her secret tactics used to be giving him big hugs (honestly he is a sucker for them), but lately he's trying to get her to stop that so she can start defending herself against him, and thus the rest of the world, properly. So much passion! Not as if it's a bad thing, actually it's quite good. Due to her sheltered nature she loves the idea of exploring and seeing new places, often taking her time outside to run around her hive and draw (pretty bad) maps of the place. She loves shiny things, and is a wee bit of a kleptomaniac. Her hive is stuffed with odd shiny treasures she has found while exploring, which may or may not belong to other trolls who dropped their things. Hmmm, you know you mentioned a bird lusus earlier? Perhaps a magpie? I'm not sure if you could get away with crossing a boar and a magpie together, however. She truly does have trouble feeling for others due to her life-long isolation though, and always thinks of the well-being of herself and her lusus first. This may certainly prove to be a problem later in life, no matter if she enters SGRUB or continues to live on Alternia. Other negative traits include her being too loud/intense when talking in-person, cowardly in the face of danger with a high tenancy to flee, and being rather careless with secrets (she means well but frankly tends to forget that not everyone asking for information may be asking for the right reasons). --- I think she would fit into this role without much of a challenge, and that's not fun at all, so I'm just figuring out what to change it to. The obvious choice is 'maid' but since I'm a maid myself I'd love to see if any other class/aspect fits her better. I personally thinks she sounds far more like a Hope player, Hope players tend to be brash and optimistic (at least when they aren't Princes) but they can also be kind of selfish. Seer of Hope or Mage of Hope might fit her. I don't really see her as a Maid myself at either personally. I'm not really sure how that fits the character, I like how you gave it a song but there is nothing else to go by. The land is suppose to be a challenge but at least contain something that helps them. Perhaps 'Ink' might fit. No clue why you picked Casinos though. --- The captchalogued item is placed onto a very vast antique scroll of an extremely detailed map. To retrieve the item, you simply need to find the item, which is often easier said than done. :o this is a wonderful idea. --- A carry over from before I revamped her, but I think it still works! Meant to reference the curve in her horns and symbol, but also a play on the word 'phi' (rhymes the same). Sai's tend to be a little overused, but since you give a good reason for giving her one I see no problem with it. Basically - a young naive troll who has a core theme of exploration and symmetry to her character. Overall, this character is very creative, her references and themes are subtle but certainly there, plentiful and rather clever. I like her name, use of her fetch modus and her design all too. I hope you manage to find a good lusus for her! My suggestions are there if you need them! Also, Hope is better aspect selection than Heart for her, in my opinion. You could also pick a different land name and perhaps give her ancestor some more details and backstory, she seems a bit plain at the moment. Try and think of a classpect I shall! Woof woof! Ha, Okay, that's pretty nice. I like the detail of the 'drooling' because, well, she is a dog. Not sure how much this fits, it kind of fits I guess? That's quite a good, and amusing idea, although I'm not sure how it fits for the character at the moment. Hmmm. That's also quite amusing, It's good that you managed to make it fit and didn't just keep it plain. After reading her personality she seems like a Seer of Space, or possibly a Witch of Space. Her name is a reference to Hachiko, a dog that waited for her owner to come back for 9 years. Awwwww, I've heard of that, it's pretty cute. Their friendship can also symbolize the saying "man's best friend". Canis Venatis is known as the "hunting dog," and is the largest dog constellation, referencing his height and role to Elaika. His smell is a reference to Argos, a faithful dog and companion to Odysseus. Odysseus was one of the most influential Greek champions during the Trojan War, which also links to her hunting and competitive side. Argos immediately knew his owner, even in a disguise, and Odysseus immediately knew his companion despite being smelly and disgusting. Good amount of references, great to see people doing research. They have a well developed personality and I can really see their 'dog' like nature coming through in the aspects of their personality. I think with this kind of personality she would be pretty fun to roleplay! Nice amount of variation with her typing. I can tell! You put a lot of work into research into this! Seer of Space seems pretty good, if I come up with anything else I might tell you. Wow, a lot of work went into this troll, from the personality, to the themes to the lusus. I think she'll be pretty interesting in a roleplay or in a sburb fan session of some sort. I was glad to help you with classpect, and please change the land name. That's probably the only thing that needs changing, unless you want to give her a new trolltag. I'm too sure on the current one. Your name is LULLAY CANTIR, and you have just come back from seeing your lusus, OWLDAD. Looking around your room you can see what is representing your many interests. You enjoy playing the OCARINA and know MANY SONGS. You also enjoy WRITING MUSIC for the aforementioned instrument. You like playing MANCALA ((Troll Name For It?)). You also love MIRRORS but swear you sometimes see STRANGE TROLLS in them. You like SWIMMING even though you aren't provided with gills like a seadweller, you make do. You also enjoy STARGAZING and like to make up constellations. You have multiple VOODOO DOLLS that you use for a multitude of purposes. Personality - Lullay is passive for a highblood, enjoying sitting and playing music alone as apposed to hanging out with others. He enjoys taking naps and has a generally laid back personality. He speaks softly and melodically, avoiding raising his voice. Although he is quiet he is NOT a pushover or shy. In social situations, He makes sure everyone is comfortable and enjoys taking care of people, high or low blood. He values comfort over most everything else and tries to make sure everyone else is comfy. God Tier - I Haven't Been Able To Find One Yet! Possibly Void? Powers - He Has A Very Minor Branch Of Chucklevoodoos. Allowing Him To Levitate Items That Weigh Up To 10 Pounds For Up To 15 Minutes Before His Head Begins To Hurt. And Thats About It, Hope You Liked Him. Also~ Thank You For The Review On Alix It Was Really Helpful! Lusus: "Momshroom who injecTs aci-D Through her TenTacles inTo her vicTims" ((read: whoever she might find)) "leTTing iT -DigesT exTernally -Before -Drinking them -Dry. She -does iT ofTen -Because of her healThy appetite (D. Momshroom TaughT me how To hunT, well, okay I -Don'T have any aci-D -BuT she TaughT me how To am-Bush The prey. 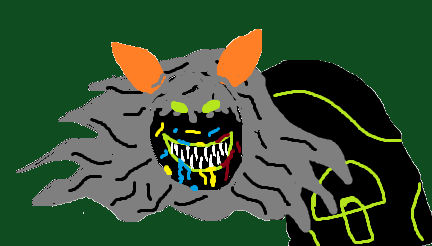 She also TaughT me ThaT fresh meaT is the -BesT (D an-D ThaT Troll meaT is The -BesT of Them (D"
Hive: "My hive is a preTTy simple place, like a small cave. IT's on The Swamp, I live There wiTh Momshroom. Also iT's full of oTher criTTers: -Bugs, -Bir-Ds, snakes, crocs an-D such. IT's a very lively place, noT To menTion There is always enough foo-D for Momshroom"
Extra: "Well, iT's noT like There're many inTeresTing Things in my life /D I was schoolfe-D an-D now I live on the Swamp wiTh Momshroom. I have my huskTop so I waTch movies on iT and Talk To oTher Trolls on Trollian. I can'T inviTe my frien-Ds over since Momshroom won'T hurT me -BuT she has no pro-Blems wiTh eaTing oTher Trolls... an-D anyone else. I also waTch movies on my huskTop,namely sci-fi and fanTasy. Preferra-Bly a-Bout humans. These aliens are so cool (((D ... if The movies are To -Be TrusTe-D /D It's... iT's kin-Da silly, I guess -BuT I wish to meeT a human one -Day. and TasTe one, of course. Anyway, siTTing in one place geTs crazy -Boring so I ofTen geT ouT To hunT. I geT To The near-By canyon an-D a foresT. I usually sTay in These places for a couple of -Days -Before coming -Back home. The foresT is a nice place -Because someTimes fairy -Bull packs fly over. CuTe and a TasTy snack (D. I hunT -BeasTs an-D lusii an-D sometimes unwary wan-Dering Trolls. If I geT To kill a lusus who are usually -Big enough I usually Take Them To Momshroom to leT her have some foo-D she can'T geT -Because she preTTy much -doesn'T leave The Swamp. Also I have never even Talke-D To a sea-Dweller, lesT alone meT an-D TasTe-D one. Oh an-D jusT so you know. I kill only To eaT. An-D one Troll is enough for me To -Be fe-D for a week." Strife specibus: most likely fistkind, she's been shown to use mostly kicks, however, so it might as well include either legkind or a shoekind. Also she tends to mime imaginary hadokens at her opponents which are most likely fake. Personality: Given the fact she has "fight the SNAIL OF DOOM while HANGING UPSIDE-DOWN in A CELL" as a number 27 in her "Things To Do Before Death" bullet list, the fact that in a middle of a battle she stopped to do this taunt and the way she put on looted pants I don't think it can be classified as completely serious, I suppose. Thing is, she doesn't play SGRUB. So no lands, Godtiers, nope. For some reason that seems a bit dull, it's probably just me though. Hmmm, cute, what does the symbol mean? It's rather generic. Oh, and Beforus trolls don't need to wear a black shirt! He's starting to remind me of Gamzee, pre-sober. Perhaps it's just because of the laziness and the Pajamas though. Hmmm, Maid of Void? Perhaps a Maid kind of title. Everyone has their own theories on this, to me he seems a bit more like a Derse dreamer, but I don't think that it matters all too much. I've kind of seen the Purple bloods = Voodoo thing before, it's getting a bit stale, but if you can put an interesting spin on it, I'll like to see that. I can see he likes his voodoos a lot, as long as you don't dominate his personality with them and make sure you don't make him super powerful in RP situations, or stories. I think he needs quite a bit of development right now, he's a little bit too much like pre-sober!Gamzee. Or at least he doesn't seem have too many traits that seem really distinctly different from him. His symbol doesn't make too much sense and is a bit boring, (unless that circle thing is a placeholder). I think he could do with a few more unique traits, he really doesn't seem very 'exciting' or 'intriguing' at the moment. It's getting late here, I need to go to bed, I also have school tomorrow. So you might not get a reply for about 9 hours. Just wanted to tell you. I want to see if I still have this character kept interesting, and of course, a little bit of outside insight never hurt anyone. A word of forewarning: Lacile was created in early days of homestuck Troll OCS (think 2012/2013 Mid 2011, as Beans pointed out to me privately), and so some of her information is weird/obscured. This was pre-dancestor and all that nonsense. She has an ancestor, but is not considered a dancestor herself, so the title may not make full sense. Title: The Chronicrippler; The Tomeseer. Age: Generally, I tend to go with nine, to an upwards of 12 or 13, or even a solid 25. This is the Sarrca seal. It's a symbol that's been used in her family for the previous 8 generations. Lusus: Sir Squeakbeast; a small cheesefiend lusus who often gets themself into trouble; they often ride on Lacile's shoulder to avoid stepped on tails, or ingestion from other lusii or creatures. Strife Specibus: BookKind. Lacile often totes around the Sarrca Tome; an ancestral heirloom that has the writing of her past ancestors in it. It seems to never run out of pages... And it's quite heavy. Lacile goes through three major dress changes. Her usual garb is that of a jade dress-suit, brown heels, and a dark set of pantyhose. (Un)willingly, she then changes as she's pulled along into a pirate adventure with her late matesprit, and then onto another one by a later employer and friend of hers. She then changes into a black uniform upon the rise of her friend's revolution, spurred by the disappearance of Lacile's Moirail. This will be explained more thoroughly later. Body type: Curvy, wide hips and ample chest. Short, comparatively. Hair: Thick, but silky. Often disheveled and in disarray from long hours working. Generally dresses smartly, in heels that click. Will change into something more practical for battle. Profession: The 9th Grand Chronicrippler. A historian by trade who often 'finds' ancestral artifacts, and writes historical text on those dearly deceased trolls. Her home is composed of an extensive library and index, so in her down time, she organizes and catalogues items. Her position as the 9th Chronicrippler of the Sarrca line has left her with a hive full of books, a bag full of artifacts, and a fist full of empty. Which is to say, she never got paid for her work. Plot: Gods, this is a doozy. I'll give a TL;DR version. Originally, Lacile started as a reclusive history-writer, who got swept up into an adventure and a role that forced her to open up and face her growth as a person, instead of hiding behind books and work. "... After boarding the Kraken's Fortune, (my) hands were soon scalded after an accident with incredibly... hot... soup. It came to light that a troll had died after a technical malfunction on the ship, to which it had come jerking to a halt. The blueblood tumbled down the stairs to his death. The resulting technical failure locked the lavatory door which I had fled to when the soup had spilled onto my hands, leaving me trapped. Captain LaVeau and her 2nd in command called the crew to the deck of the ship- It seems that I, and the captain's kismesis, Dr. Naghul were left beneath deck. Thankfully, my moirail was present to assist me, despite Dr. Naghul's disdain for my predicament." "After arriving on deck, Captain LaVeau, the same 2nd in command, the seadweller boatswain, and another seadweller soldier, had descended beneath the waves to survey damage to the ship. The soldier did not make it back; the routers for the ship's main propellers kicked on automatically as the back-up generator fired, and sucked him deep into the propellers, spilling violet blood across the murky depths. Captain LaVeau was covered in it..."
"A near sweep later, Captain LaVeau got in touch with me, urging join her on another adventure, and leave Alternia behind, to which I hesitantly obliged... The rebellion simply fell upon us, LaVeau being a catalyst for the entire movement, at the unjust death of a personal friend of mine and my moirail's. Miss LaVeau would not stand for the intolerance shown, and decided to take action, no matter how reckless and absolutely hairbrained her schemes were." Lacile's adventure still has yet to end. Personality in a nutshell: This is positively too lon9-winded to express in a spoiler. Class and Aspect: Lacile is a Seer of Void. Typing quirk: She replaces her g's with 9's and always capitalizes her C's. She is very lon9 winded and enjoys sharing knowled9e, muCh in the style of the nine ChroniCripplers and the ei9ht that Came before her. 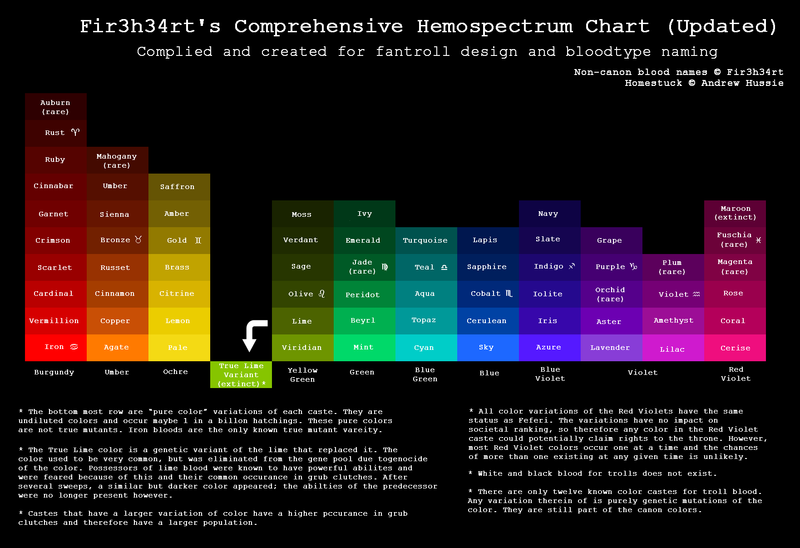 I personally think she'll know a little bit more about the hemospectrum, Also I personally think Olive is better than Jade anyway. I might be able to help you with the symbol thing if you really want me to. Interesting choice of Lusus, again plant Lusus is something that you quite rarely see. Somehow I got reminded of the The Legend of the Mandrake a plant that, when the root was dug up, was said to scream and kill all who hears it. Original development of her typing quirk! I'm always fond of pun trolls for some reason. A swamp is also something I've never seen before. She manages to retain her kind of shy-ness and awkward attitude but also appears to keep to 'acting like a troll'. I kind of like the idea she takes an interest in humans instead of considering herself superior to them in some way. Interesting, 'Swamphag' is a pretty cool name, actually. Land of Growth and Slopes (LOGAS) Perhaps? Maid of Doom, even Sylph of Doom or Life could also fit. 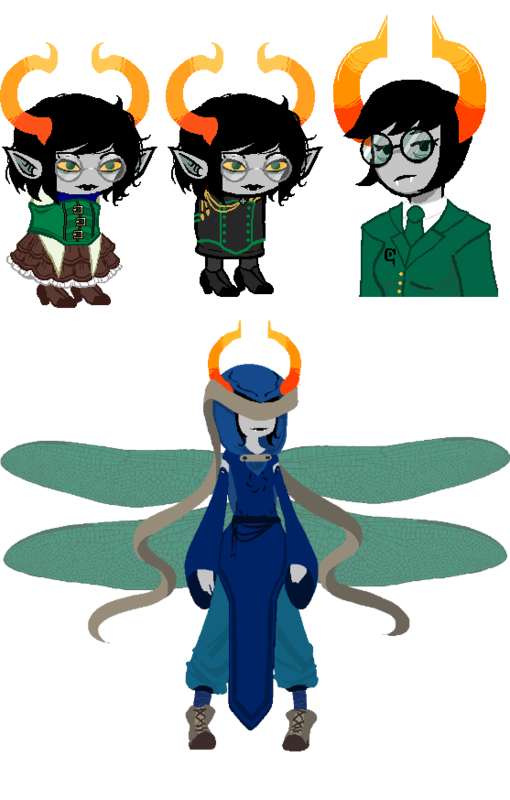 This fantroll has a lot of unique twists to her, The Lusus, the typing quirk and strife specibus are all thing I haven't seen before in any fantroll. I can't really find anything about her that needs to change. I gave a land name suggestion,though. This could use some more expansion, she's kind of cute I suppose. Not really much I can say about this one! I like the fact she's a mind, and she'll probably develop as she goes through the fan adventure anyway and since she's kind of a joke character, I suppose it doesn't matter all too much. 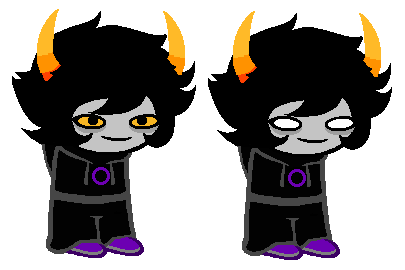 A word of forewarning: Lacile was created in early days of homestuck Troll OCS (think 2012/2013), and so some of her information is weird/obscured. This was pre-dancestor and all that nonsense. She has an ancestor, but is not considered a dancestor herself, so the title may not make full sense. What does her name mean? Where does it come from? I think you picked very good handles, both GCAT and Non-GCAT, although I think the I like the GCAT handle a little more personally. I'm guessing one is with the '8 letters' name rule and one is not? Both work, however. Troll symbols normally have a meaning to them. This is sort of made up for the troll herself? But it does seem to be an important part of her character. 'Sir Squeakbeast' I love that! In fact this whole Lusus is nice. I've seen 'Bookkind' used quite a few times. Shouldn't you want to protect it with such important information in it? Instead of using it as a weapon, which could damage it? Unless, looking at her personality, she's doing it as a sort of rebellion? There is also the question of how 'Bookkind' can really be improved throughout the game. [color=#FF0000]I really love this art-style! A lot! But she only seems to have her symbol on one of her outfits, and it's kind of small. 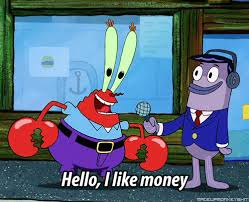 Should't it be more clear? She has an extensive library, can't she use one of her many other books instead of the heirloom? There has to be something still fairly strong and thick that isn't precious. I very much like this, the writing is good and the plot is fairly intriguing, is this from your own story writing or a paragraph style roleplay or a bit of both? Her powers are interesting, being only able to see the deceased of those closest to you brings creates potential for some good plots. Her personality overall is unique and developed. No cliches to be seen here! Seer of Time could also work. The quirk is okay, and it fits her. I can't help but feel it's a little dull. Perhaps there is a little more to the way she speaks? The character has a lot of inspired traits and a great backstory. I'm not sure how feel about the whole 'blood colour and destiny thing' it's inventive but I'm not sure how much I like it. Her clothing also seems a little out of place, perhaps it's just because of the lack of her symbol. Her Lusus and trolltag are also really excellent, I like the names you chose generally (although I would like a bit more of an explanation). She seems like a good character to use in pretty much any kind of roleplay situation. I chose Lacile because it's similar to 'Lucile' and I've always liked that name.. Sarrca, because it reminds me of a sarcophagus. The symbol is... The C for ChronicCripplers, and it also sort of looks like a monocle, I always thought Topquill would wear a monocle just to irritate Lacile; but upon further thought, I think when Lacile becomes the Chronicrippler Tomeseer, (aka Topquill's 'ancestor', SHE might be the one to wear the monocle. The tome is impervious to Lacile's attempts at destroying it, so it makes a better weapon choice than the delicate books of ancient paper and ancestral writings she robs from other tombs. That, and I can make a bunch of dumb puns about history wanting revenge. Lacile's pirate garb might seem out of place, but beneath that jade corset, she wears her late matesprit's blouse. It came down to 'RuCaro, I swear to 9od if this sea water ruins my suit, I'll see you Culled myself.' So he gave her a blouse to wear. She originally wore a pair of high-waisted shorts with the blouse, but since high-waisted shorts have come out of style (and are incredibly hard to sprite well). The corset and skirts are actually from her own closet, and she is (or rather, was) more likely to wear them pre-pirate days. She can be quite a melancholic character (and a bit of a drama queen) when it comes to her late matesprit, often honoring him in very silly ways (which often sometimes impede her from doing her job). Again, this troll was conceived before the idea of 'dancestors', and the Jade caste was conductive to what I wanted to do. I also think it might've been naive young me going 'My zodiac troll is Kanaya...' but I feel like it fits her way too well to change now. But yes. The destiny thing was meant to hammer onto something similar to do with the brooding caverns, but I dropped it and just went with 'historian/grave robber who has a martyr complex'. I understand I only mentioned the 'grave robbing' thing briefly, but I like to have people guess how she gains all of her artifacts. This was a pre-dances tor concept, which needs to be retrofitted... but I feel like it's also a large part of her character as a whole and I'm not sure if I'm willing at this point to pull that away.